Remakes are always hard, especially if you are a fan of the original. You don’t want them to mess with a great thing by ruining the story, but you also don’t want them to retread old ground. You’re content with your “original” and feel like Hollywood should be working on developing new ideas instead of rehashing old ones. Yes, remakes are bad and we all know it. Reboots? Well, that’s just a fancy name for a remake that bastardizes your fondest memories. RoboCop was such a great 80s movie with its darkly satirical commentary and religious overtones contrasted by the ultraviolence of it all. RoboCop is an incomparable piece of classic sci-fi cinema and remaking it would just be blasphemous, right? I mean, the failed attempt at remaking Total Recall, another Paul Verhoeven classic, certainly doesn’t bode well for this modern retelling of the man in a machine – it doesn’t help that it bears the same PG-13 dumbing down that Total Recall received. 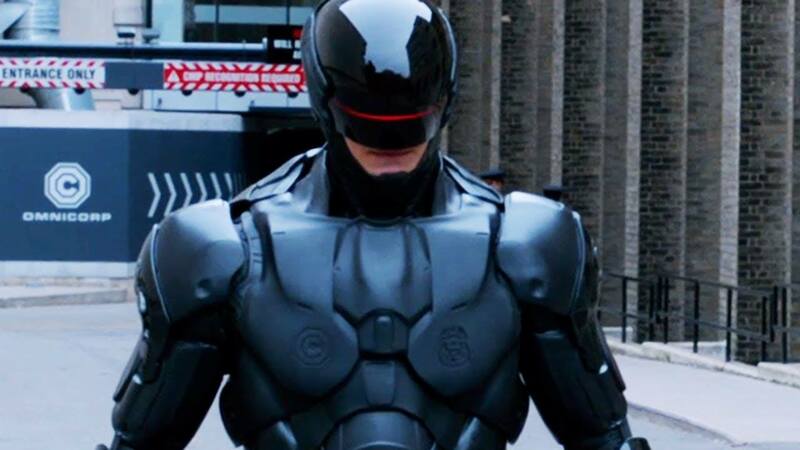 No, RoboCop as a modern film has to be a terrible idea. Unless the idea is actually new. I hate retreading old ground. Adaptations, in general, fail to impress me if I’ve already experienced the story in its original medium because there’s nothing new – nothing fresh. Films based on books are often punctuated with “the book was better” in the same manner that remakes are quickly branded as an uninspired rehash. Let’s ignore the fact that there are several remakes that are considered “classic” films, because those were totally different. I’m not saying that this year’s reboot of RoboCop is a classic, but it is definitely fresh. In the original film, OmniCorp was already working on domestic grounds with the Detroit Police being under the control of OmniCorp as opposed to the city. In the new film, OmniCorp has its drones and robots doing “peacekeeping” work in foreign territories while a bill is keeping them from patrolling domestic streets. Michael Keaton plays a corporate Palpatine who decides to give one of his robots a face – something the American people can get behind – in order to expand his business and profits. He’s a charming mastermind that presents himself as someone who is trying to better the world while all of his “behind the scenes” interactions paint the more accurate portrait of greed. It’s a welcome update to the story and one that feels more relevant to our modern time. We also see a very different Alex Murphy in the remake. One who feels more “human” even inside the machine before a decision is made to override his humanity. It poses some interesting questions about what makes us human. Essentially, when you look at humans, they’re chemicals and electrical impulses – no different than a machine. When you control those chemicals and impulses, is there still a soul underneath that? 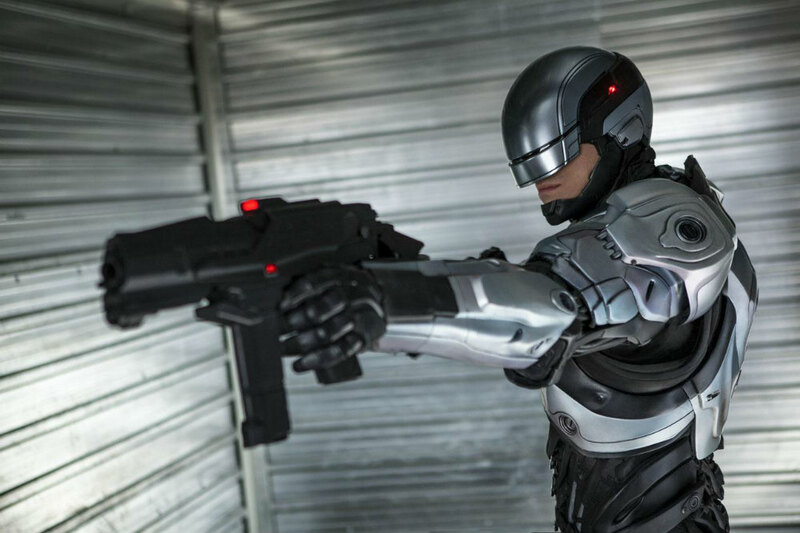 RoboCop presents a similar story to the original: a Detroit detective is murdered and reconstructed as a cyborg who is essentially controlled by his programming despite his human elements fighting for control. It’s a story of what it means to be human interlaced with socio-political commentary, albeit a little more serious than its 1987 counterpart. Despite telling a similar overall tale, all the other elements bring to life a completely different story. One of corporate greed and politics. One of human emotion and free will. It’s a movie that is still darkly satirical, but it does it with a straight face – which just so happens to be the face of Samuel L Jackson. Purists may leave the film disappointed, but after the TV series, the miniseries, and RoboCop 3, this fresh take on the franchise is a welcome breath of fresh air.